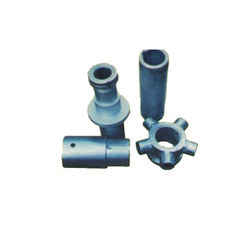 To retain our goodwill in clients' consideration, we are manufacturing an excellent range of Gudgeon Sleeve and Nuts. “Hero Expeller” is a trustworthy and well known manufacturer of a qualitative assortment of Safety Equipment, Oil Expeller, Gears and Pinions, Pressing Worm and Quill Worm and Redler Chains, etc. We are a reliable organization that is actively committed towards providing our prestigious patrons high quality products. Integrated in the year 1990 at Ludhiana (Punjab, India), we have developed an ultramodern infrastructural unit where we manufacture this collection of products in large quantity. Managed under the headship of our Mentor, “Mr. Dk Aggarwal”, we have covered large share across the national market.